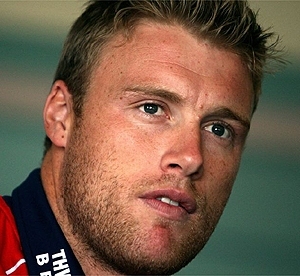 London [UK], Nov. 26 : Former all-rounder Andrew Flintoff believes that Jos Buttler, who has been included in the England playing XI in the Mohali Test against India, is "very, very lucky" to be even considered for the same. After the drawn first Test at Rajkot, India went on claim a comprehensive victory in Visakhapatnam, crushing England by 246 runs and have a 1-0 lead in the five-match series. Buttler has replaced Ben Duckett after the latter failed to impress in either of the first two Tests. London, Feb 2 : Fresh from his boxing ring success, Freddie Flintoff has unveiled a second collection for menswear label Jacamo. The 35-year-old former England cricketer is extremely pleased with how it has turned out, because he wears every single item himself. "While my stuff isn't depicting high fashion, it's the sort of stuff I'd wear. I wear things that I feel comfortable in to be honest, I don't follow what's in fashion or the latest trends I just like to go out feeling comfortable and my line reflects this," he told the Daily Mail. Speaking at the annual photo shoot, Andrew Flintoff said that although he is still unsure about the date, but he is hoping to return to the first-class cricket by the end of July this year. The 32-year old all-rounder underwent a knee surgery the day after the Oval test against Australia. It has been reported that the all-rounder who was recovering in UAE has now returned back to his gym. 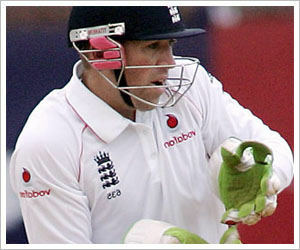 He has admitted that he is still unsure about any cricketing activity. However, he hopes to return to both first-class as well as international game by the July-end. London, Nov. 20 : England all-rounder Andrew Flintoff wants to play in tWO more World Cups after coming through a career-saving knee operation. Freddie has been told his recovery is going so well he can set his sights on the 2011 one-day bonanza and the 2015 tournament, by which time he will be 37, reports The Sun. "It is a weight off my shoulders. I''m hoping this is going to give me the chance to play in the next World Cup in 2011 and the one after is a possibility, too," he was quoted, as saying. London, Nov. 17 : England all-rounder Andrew Flintoff says he is recovering well from his knee surgery, and concedes he is likely to miss England''s tour to Bangladesh early next year. 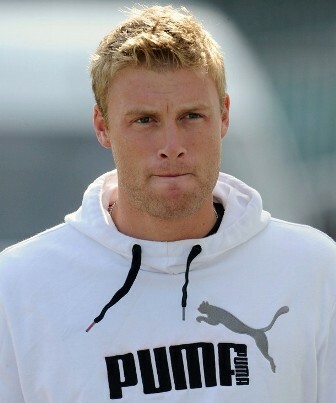 Flintoff, 31, said: "My recovery is still on track. But I must admit that saying I would be fit to play in Bangladesh may have been a touch optimistic on my part." England''s tour of Bangladesh begins on February 28 with three one-day internationals, before a two-Test series starts on March 12. "It''s not a place you can go and stay in the comfort zone. You must be up for a fight and able to go head-to-head. But I am positive Straussy won''t let things slip after what happened in the Ashes," The Mirror quoted Flintoff, as saying. London, Oct. 14 : Former England Test all-rounder Andrew "Freddie" Flintoff''s declaration that he is keen to play in Australia is likely to spark a fierce inter-state bidding war for cricket''s freelance gun for hire. 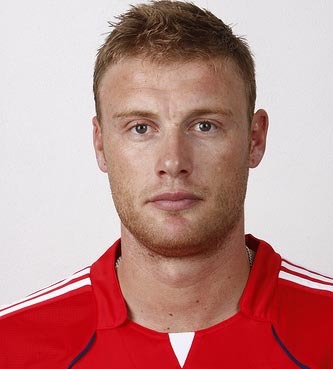 In an expansive interview to the Daily Telegraph, Flintoff said: "I''m hoping to play more for Lancashire and in the Indian Premier League. Another ambition is to play in an Australian domestic tournament." 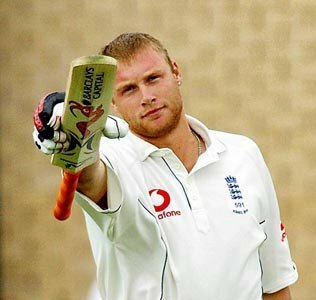 London, Oct 5 : England all rounder Andrew Flintoff has admitted that he is just one injury away from calling quits from cricket. Injured Flintoff is spending the next three months in Dubai to facilitate his recovery from a right knee operation and make a return to England's one-day team. "The next time I get injured, I will be gone. Realistically, with the operation I've had, I have a limited shelf life. I'll try to draw that out for as long as I can," PA Sports quoted Flintoff, as saying. London, Sep 30 : Ashes hero Andrew Flintoff has said that Steve Harmison is the man to spearhead England’s Test side following his own retirement. Durham ace Harmison has been mulling over his international future this summer after being denied a central contract. Despite the snub, the 30-year-old will remain available for selection unless he is finally told he no longer figures in the plans of captain Andrew Strauss and coach Andy Flower. London, Sep. 28 : Andrew Flintoff has given a written assurance to the England and Wales Cricket Board (ECB) that nothing will get in the way of his England one-day commitments over the course of the next year. Flintoff, who rejected the offer of a 12-month incremental contract earlier this month, is recuperating from knee surgery in Dubai. London, Sep. 23 : England wicket keeper Matt Prior has said that Andrew Flintoff’s decision to adopt a new globetrotting freelance cricket career would not affect his popularity in the England dressing room. Putting aside all speculations regarding Freddie being shunned by his teammates for ‘gun for hire’ decision, Prior said the players won’t have any problems if a ‘fit and firing’ Flintoff is selected for the England ODI or T20 teams. London, Sep 18 : England all-rounder Andrew Flintoff will be coaching the United Arab Emirates national team during the period that he recovers from knee surgery. “A partnership has been agreed with Dubai Sports City to use their gym and facilities as a base for his rehabilitation. In return he will be carrying out some coaching for the UAE national team over the next six months,” The Independent quoted Andrew Chandler, Flintoff’s agent, as saying. London, Sep 17 : Former England cricketer Ian Botham has said that all-rounder Andrew Flintoff, who has retired from Test cricket, has earned every right to enjoy his freedom after retirement. “There comes a point in every person''s life when they feel ready to take complete responsibility for what they can and cannot do, but not everyone is lucky enough to be able to enjoy that freedom,” Botham wrote in his article in The Mirror. 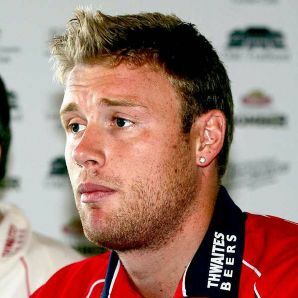 London, Sep. 17 : All-rounder Andrew Flintoff may have unwittingly incited the break-up of international cricket by his refusal of an England and Wales Cricket Board (ECB) incremental contract, but he has played down reports of a possible backlash. London, Sep 14 : The England and Wales Cricket Board (ECB) have admitted that despite the incremental contract, they would not be able to stop star cricketer Andrew Flintoff from hawking his cricketing talents around the world. London, Sep. 9 : Star English all-rounder Andrew Flintoff would be spending the next three months in Dubai recovering from the operation on his right knee. "It's always easier doing rehabilitation in warm weather and that's the main reason why we've decided to go to Dubai," Flintoff told his website. The lanky cricketer said he liked the facilities being provided to him Dubai, which was the prime reason why chose the Arab city for his rehabilitation programme. London, Aug. 26 : Former England Test player Andrew Flintoff has said that he could have never achieved greatness and didn't profess to. "I was asked have you been a great cricketer and the obvious answer is no. They''re the Bothams, the Sobers, the Imran Khans, the Tendulkars, the Ricky Pontings who achieved greatness over a long period of time, playing Test after Test after Test," The Mirror quoted him, as saying. London, Aug. 26 : Former England Test player Andrew Flintoff believes that Northamptonshire quick Stuart Broad will help the national side to dominate international fixtures more than he did. Yesterday, just hours before he went into hospital to collect more points on his loyalty card for yet another bout of surgery, Flintoff said his final Test goodbye and bowed out an ordinary man. "We''ve got the players to do it, we''ve got the captain to lead us, and it''s a realistic goal (to be the number one side in Test cricket), " said Freddie. London, Aug 25 : Punters have improved England cricketer Andrew Flintoff’s odds of getting a knighthood and winning the BBC Sports Personality of the year award following his Ashes heroics. Betting and gambling website William Hill has placed the Lancashire all-rounder at 16-1 odds for being knighted, down from its earlier bet of 25-1, which now compares favourably with the 7-2 quote by Paddy Power. London, Aug. 24 : England all-rounder Andrew Flintoff says winning the Ashes is "like a dream" after the Aussies were sent packing in dramatic fashion. "It''s an amazing feeling. I''m just trying to take it all in - I don''t know whether to laugh all cry. I don''t know what to do with myself," he said. There were emotional scenes on the field and in the stands as the England team and fans celebrated winning cricket''s most famous prize.